This 67.07 +/- acre build-able country ranch parcel is ready for your finishing touches. It comes with an approved permit, plans & a foundation already installed and ready for you to complete the construction of your country home. There is a 2,592+/- sq. ft. 5-stall barn + tack room as well as a studio space above the barn which is ready for you to enjoy now. There is also a 450+/- sq. ft. detached 2nd home that you could use while building or use as a rental or caretakers home. The property has a private gated entry & perfect privacy year round. This property has been extensively developed for horses & has access roads throughout the East slope with fruit tree’s, fencing & water plumbed throughout. Enjoy quiet serenity & close proximity to Healdsburg’s square historic town square just 20 minutes away. 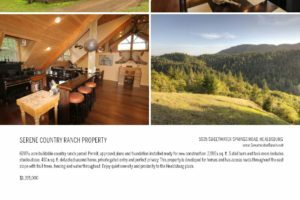 There are also numerous activities close by including the Russian River, kayaking, wine tasting along Westside Road and Dry Creek Valley, music events at the local wineries, farmers markets and much more that comes with living in the Sonoma County Wine Country. For a private showing please contact Doug Swanson at 707-636-4440, email ddoug@srealproperty.com or fill out the showing request on this website. 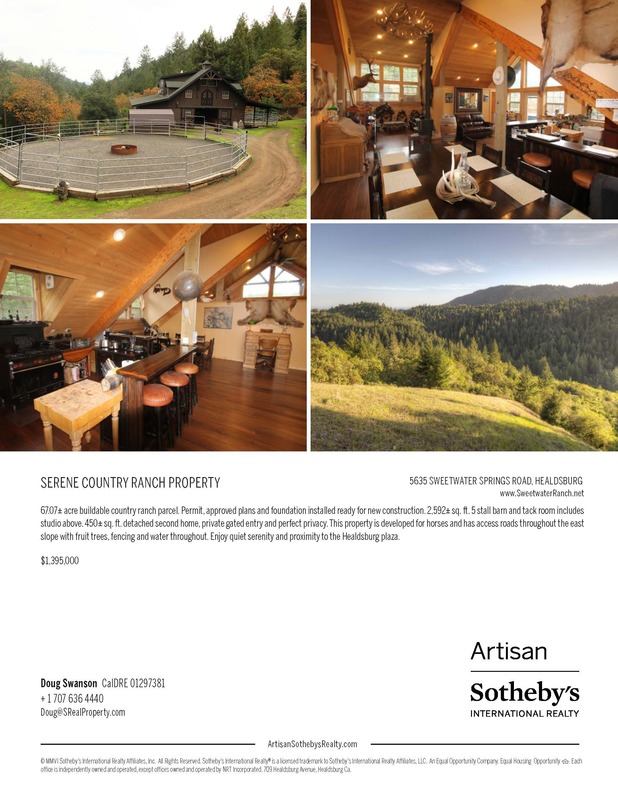 If you are looking for peace and privacy and enjoy having horses and trail riding but also don’t want to be too far removed from stores and shopping in Healdsburg, Windsor and Santa Rosa then this is a property you should come see!